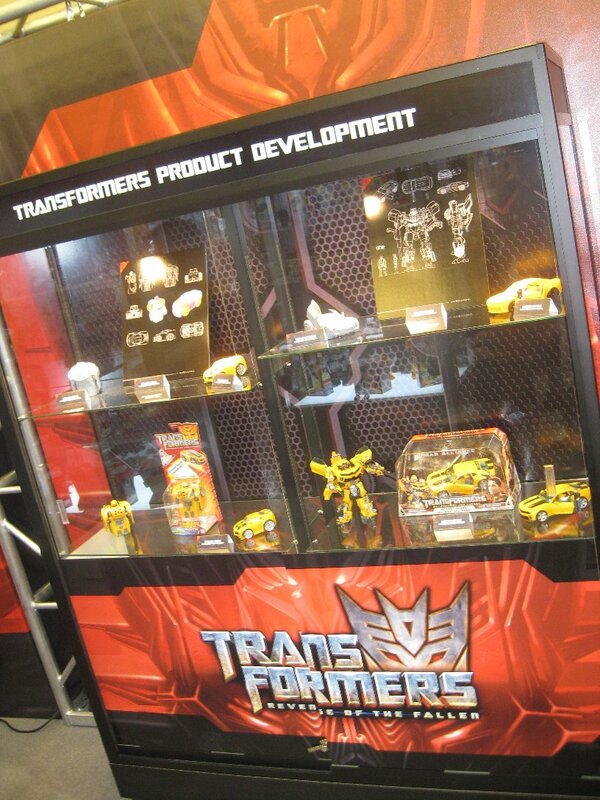 There were 16 display cases at the Hasbro Booth. 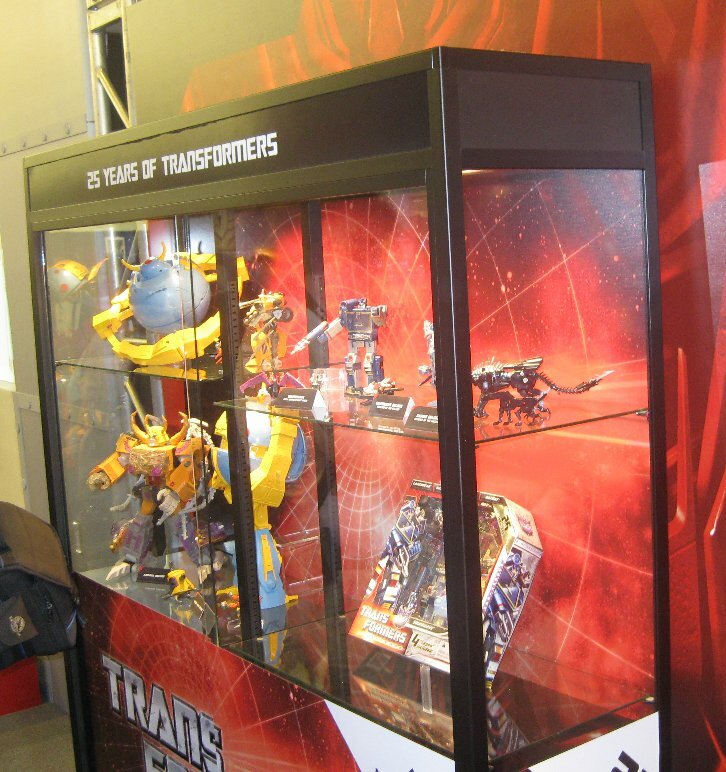 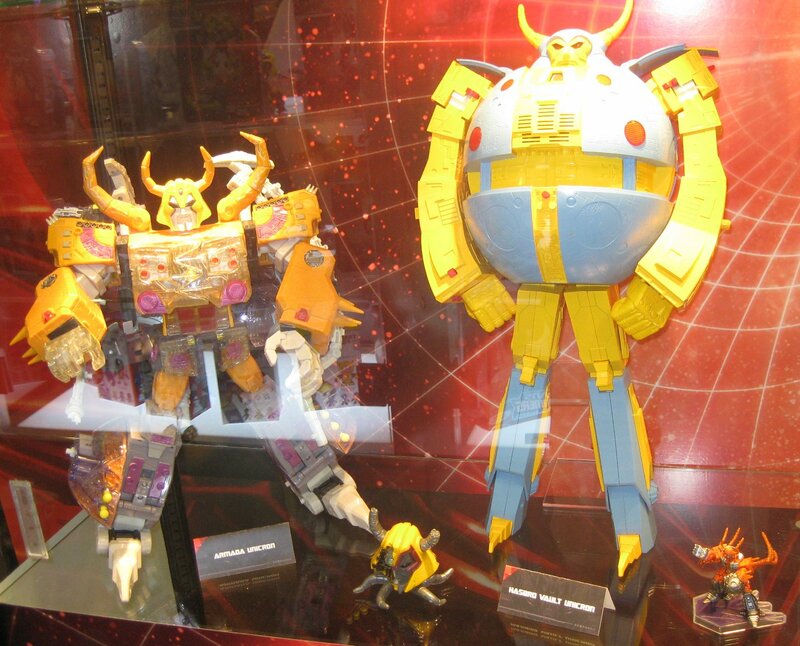 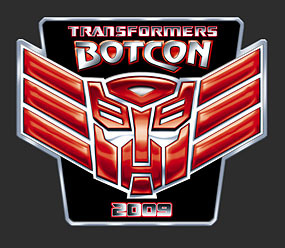 Booth 1 - '25 Years of Transformers', featuring the past and present of Unicron and Soundwave toys. 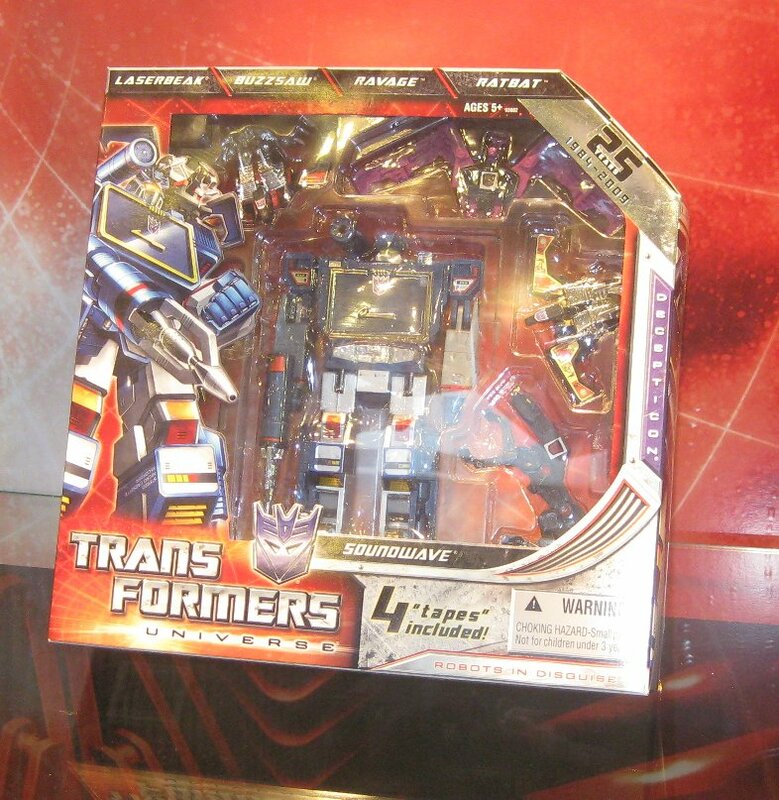 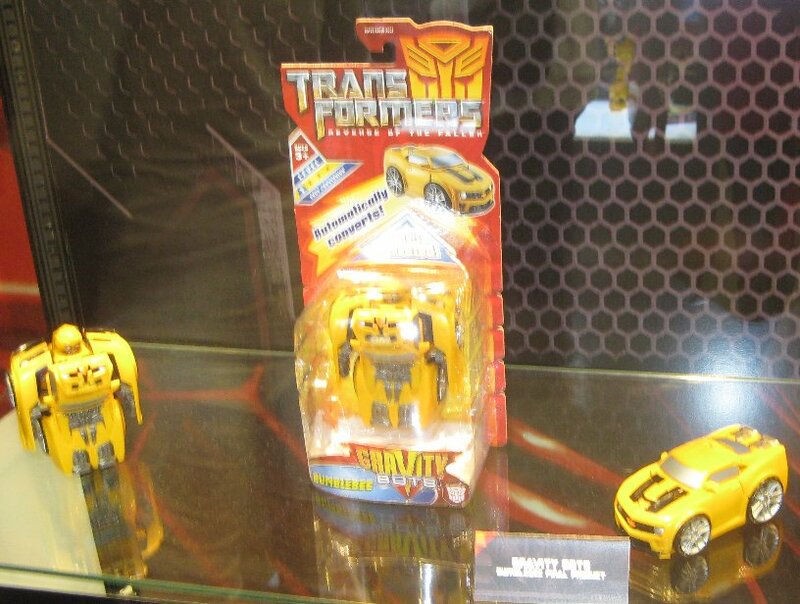 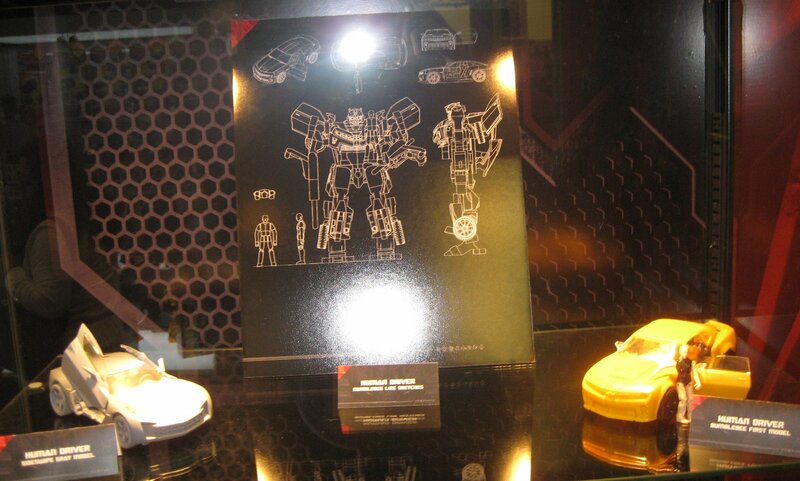 Case 2 - 'Transformers Product Development' detailing some of the main steps in the design/production process (using two of the Movie Bumblebee toys as an example). 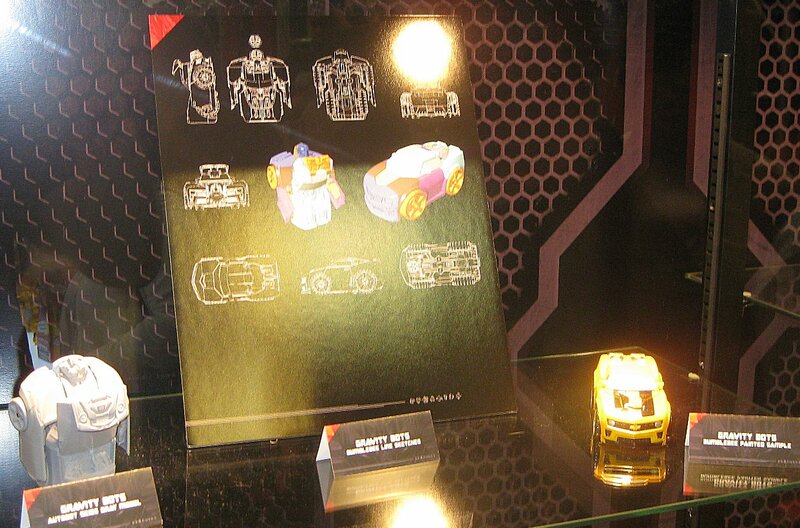 Jump to next Display Case. 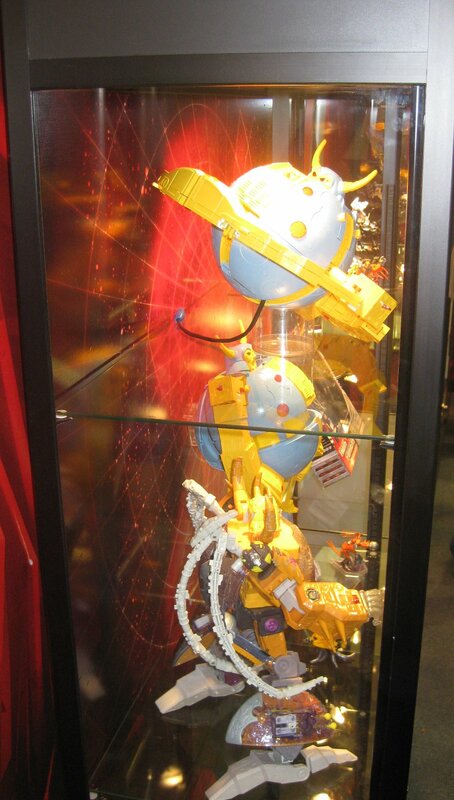 Or - Return to Index of Display Cases.